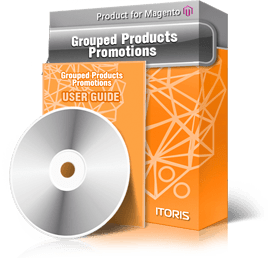 Let users view previous and next products with a single click, add customizable previous/next buttons to product pages, and catalog and search results pages using the Previous/Next Buttons extension for Magento. The Previous/Next buttons extension allows adding customizable navigation buttons to product pages to view previous/next items. This adds simplified navigation and lets your customers explore the previous/next products in only one click! 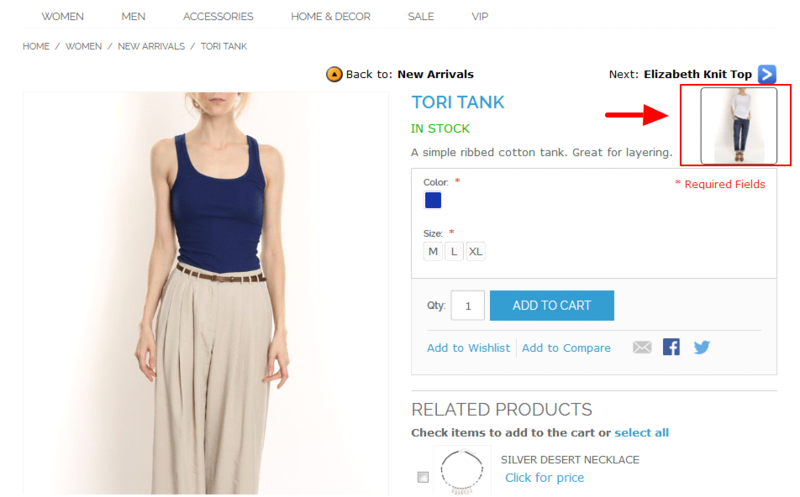 Place the “Back” buttons on product pages, category or search results pages. Now the customers can easily review products or come back to the category page easily. 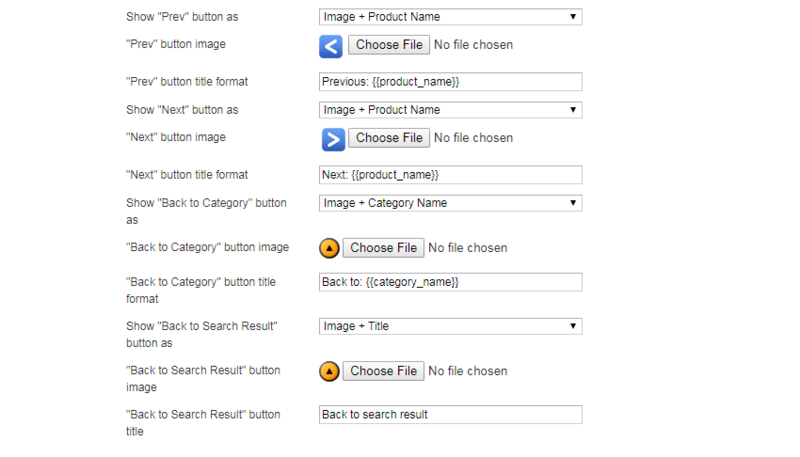 All the buttons are fully customizable including images and title formats. Let the clients browse products one by one or return to previous pages without unnecessary clicks. The aim of the extension is to add the previous/next buttons to product pages to simplify the stores navigation for better usability. All of the buttons are fully customizable. You can add the buttons’ images, titles or change their formats. To help the customers go back to the category or search results pages, the extension also adds the previous/next buttons to these pages. Once the customer goes to a product page from a category, the extension allows going back to the previous category. If the customer decides to open a product from the search results page, the “Back to search results” page will be shown on the product page. Before going to another product page, let the users preview the following or previous products. Now they will have the items general overview. All of the buttons are fully customizable. Upload your custom images, change the title formats and more.